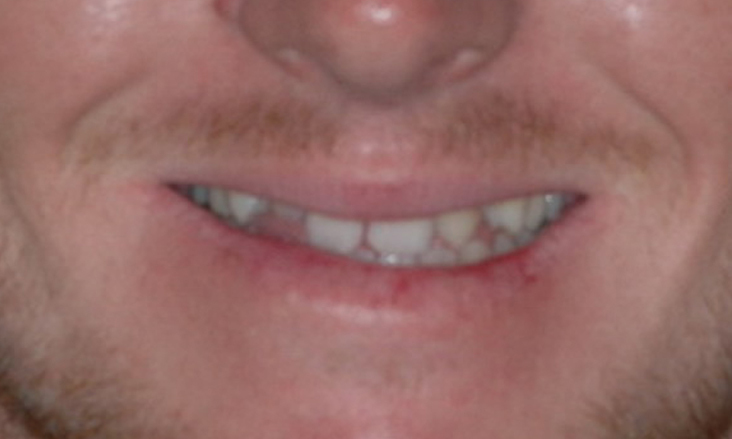 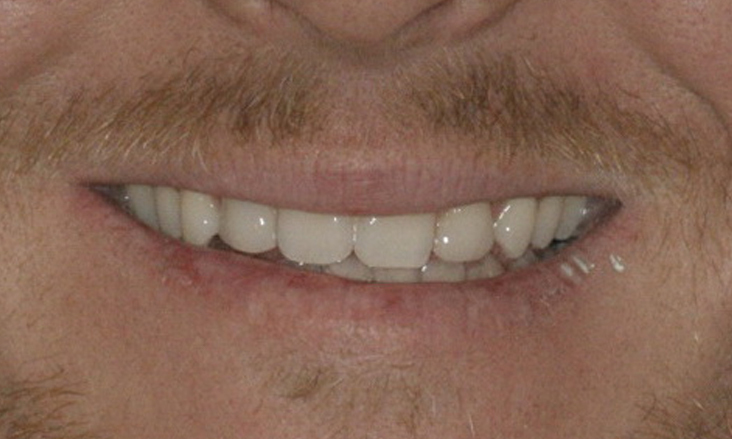 The adult upper lateral incisor teeth are missing. 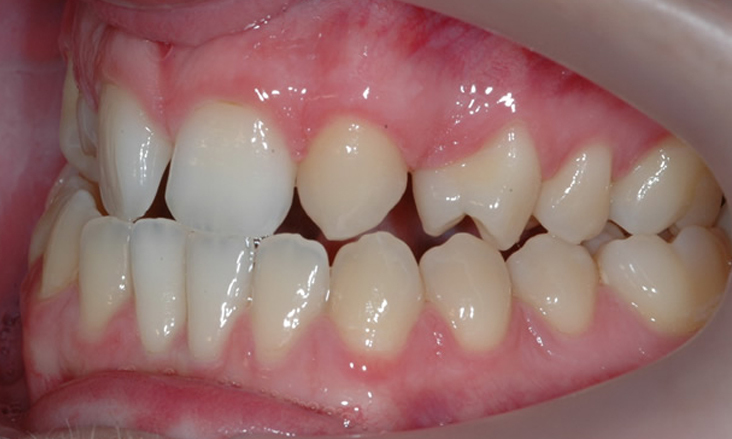 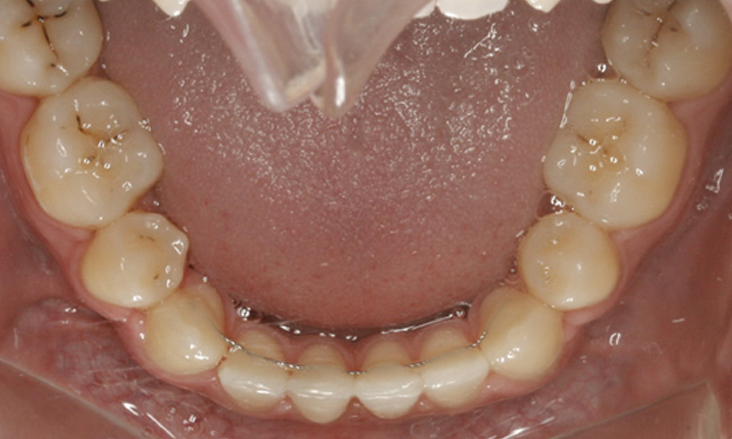 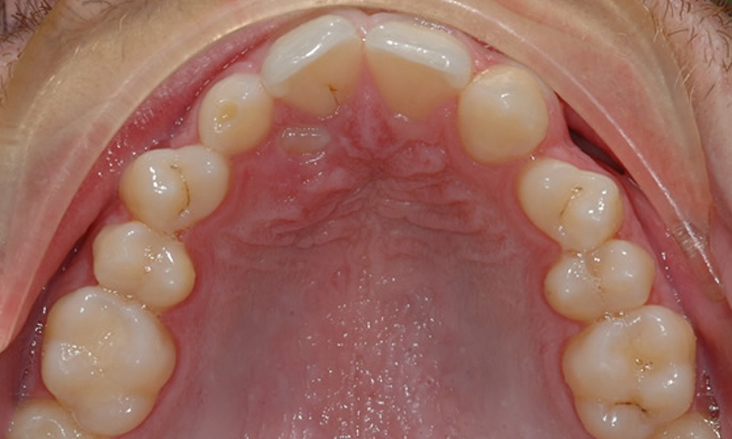 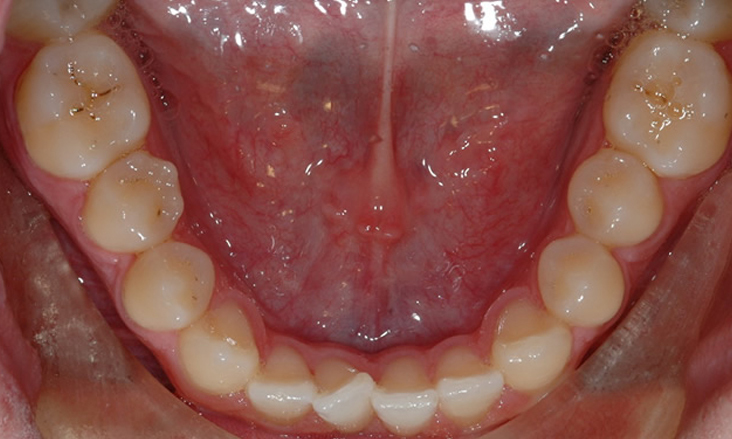 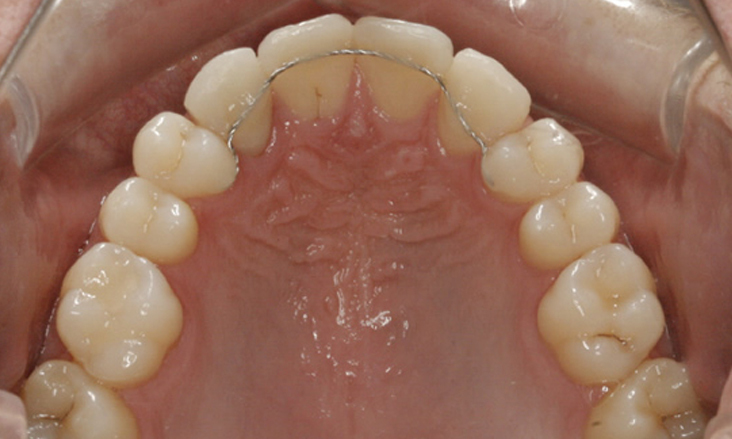 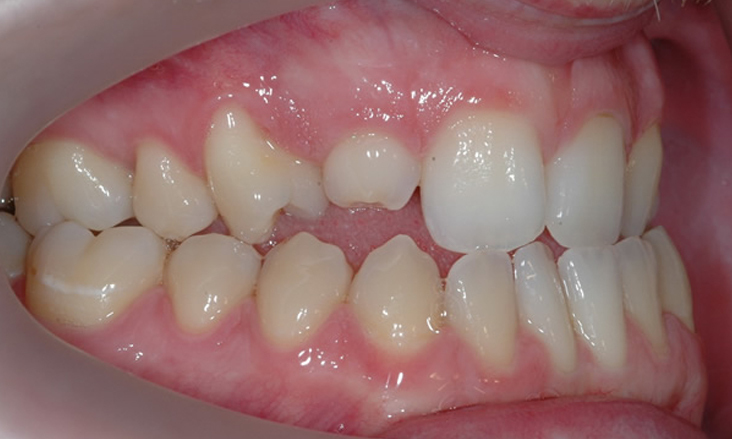 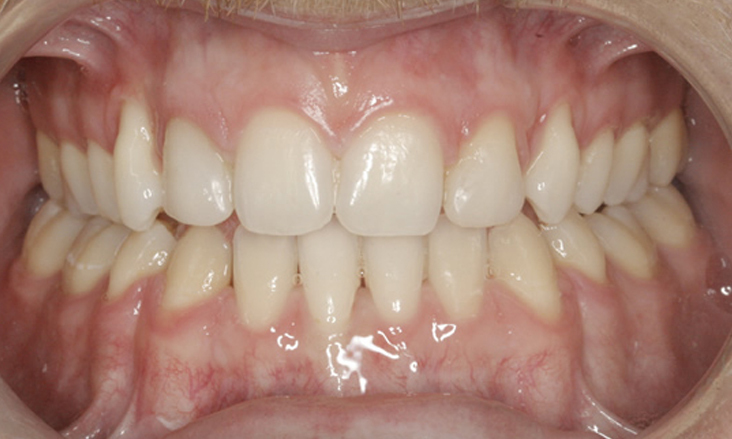 The adult upper canine teeth are going to be substituted for the missing lateral incisor teeth. 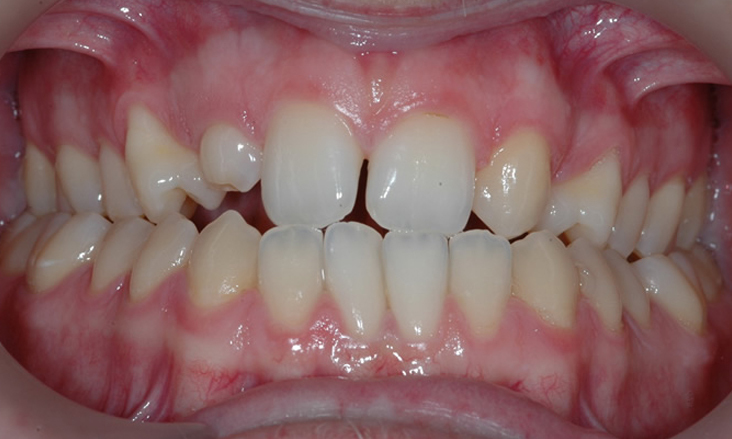 The upper canine teeth have been trimmed (both side surfaces and the tip of the tooth) so that they are closer to the size of the teeth they will replace. 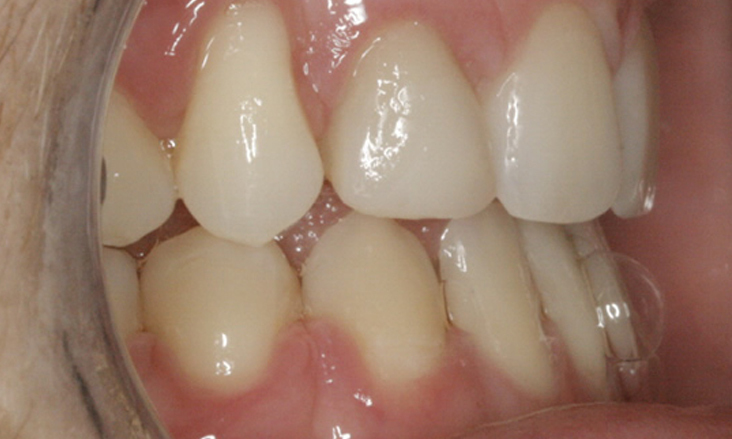 As the canine is often darker than the lateral incisor tooth it is also bleached so it becomes the same shade as the adjacent teeth. 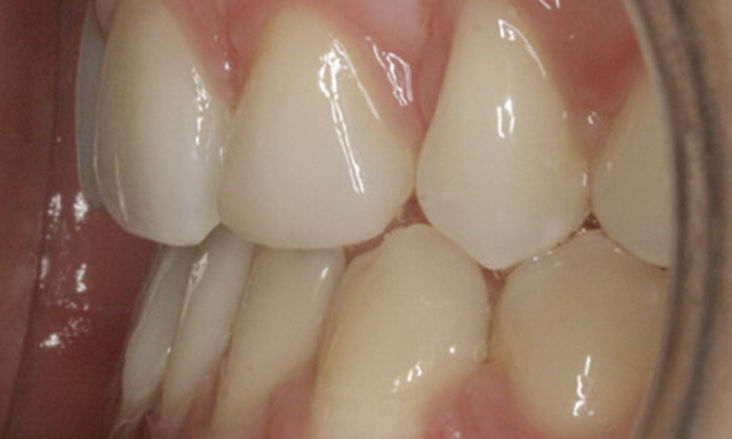 Tooth coloured (composite resin) filling material has been added to the canine teeth form the correct shape.